The ECCP invites interested EU companies and local companies that sell / distribute EU food and beverages to participate as exhibitors in the upcoming International Food Exhibition (IFEX) Philippines scheduled on 24-26 May 2019 at World Trade Center, Metro Manila. IFEX Philippines is the country’s biggest international trade exhibition for ethnic and specialty food, tropical fruits, vegetables, seafood, beverages, bakery and confectionery products, meat and poultry, Halal-certified products, as well as natural, organic, and healthy food products. The three-day event is reputed as the premier business-to-business platform for local and international food companies to discover new markets, launch new products, and transact with the world’s biggest buyers. 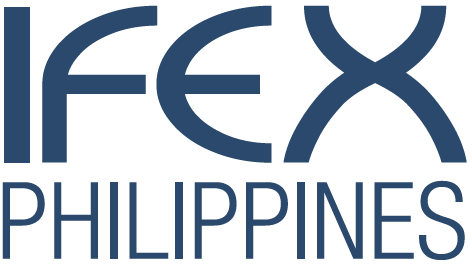 IFEX Philippines is organized by the Center for International Trade Expositions and Mission (CITEM), the export promotion arm of the Department of Trade and Industry (DTI). Interested exhibitors and trade buyers may email Ms. Angeli Mae Lirag, International Trade Fairs Officer, at angeli.lirag@eccp.com or call (632) 845-1324.